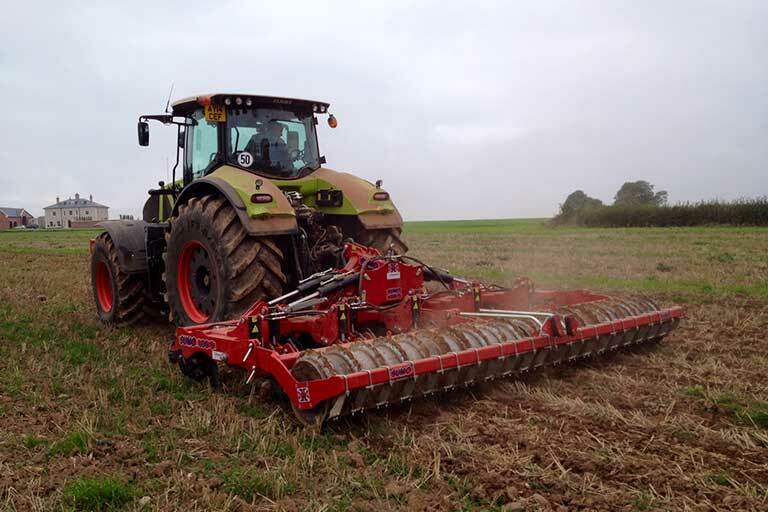 Sumo UK Ltd are a UK company specialising in the design and manufacturer of innovative cultivation equipment for the professional farming and contacting industry around the world. British designed and British built each and every Sumo machinery begins their life in SUMO very own Melbourne factory in East Yorkshire. Giving SUMO complete control on each machinery that's built. Through years of design experience in the heavy cultivation market. The Sumo machines incorporate many original ideas that will keep you going in the most challenging of conditions. The strength of SUMO is the ability to do one pass cultivation and with a wide product range to choose from, there is a SUMO for every use. The range includes the number 1 selling Mounted Trio, the Trailed rigid trio, SUMOseeder, Trailed folding trio, the Subsoiler, the Grassland subsoiler, the award winning Versadrill as well as latest developments with the Deep Tillage Seeder (DTS), the Quatro and the Strake as well as accessories such as SUMO front weights and linkage mounted drawbars. We have a number of these machines in stock, why not call today for a demo on 01446 781711.